An apprenticeship is a combination of working, studying and earning a wage. While on an apprenticeship you will be working with your employer daily and attending FloorSkills Training Centre for off site dedicated training. 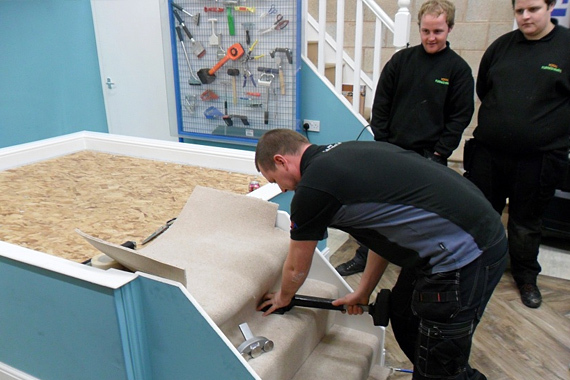 FloorSkills flooring apprenticeships are available with funding to anyone living or working within England. You will be required to visit Europe’s largest multi award-winning training centre where you will learn many methods of installation for a variety of different floorcoverings. You will be trained in both textiles and impervious floorcoverings to a level 2 standard and complete an end point assessment to be a certified Floorlayer.